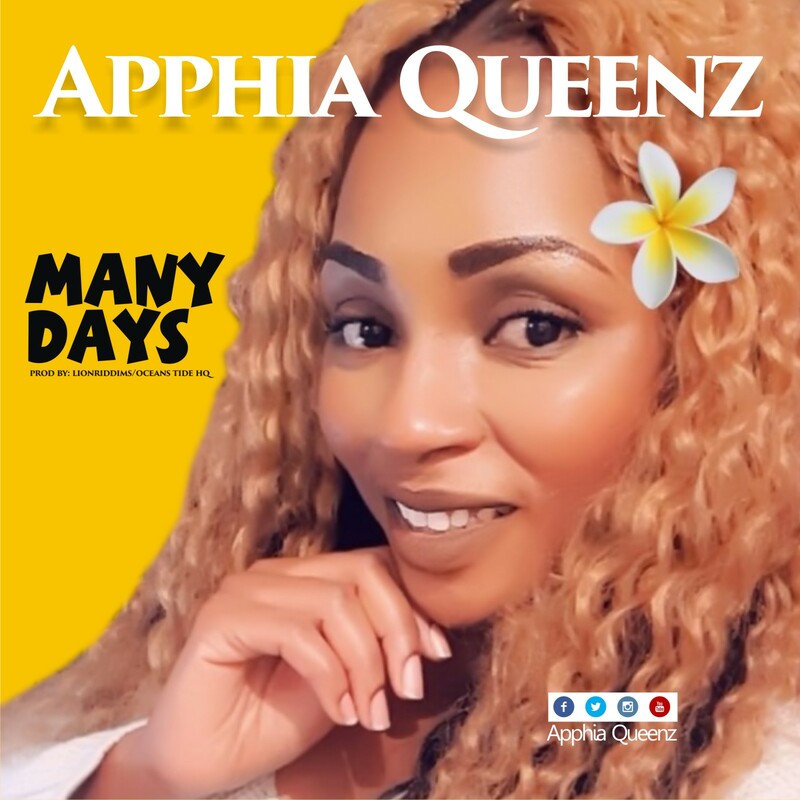 Apphia Queenz, an award-winning recording Gospel Artist and Songwriter, is back again with a new reggae tune titled “Many Days”, produced by LionRiddims for Ocean Tide HQ. “Many days in my life, I wonder of this gangster life is better than eternal life” is on major issue Queenz addresses in this song. While speaking “Many people have a twisted feeling about eternal life. They confuse themselves with many doctrines. Going about with the mindset that, once one gives his or her life to Christ, its ok for them to relapse into their ways of Gangsterism. This song addresses this issue, Eternal life is not up for gambling” – she says. This song is an Inspiration and contrast of her past and future expression of her thoughts and who God is in her life. In the song, she soulfully sings her heart out in gratitude of what God is doing in her life with her unique angelic Sound.